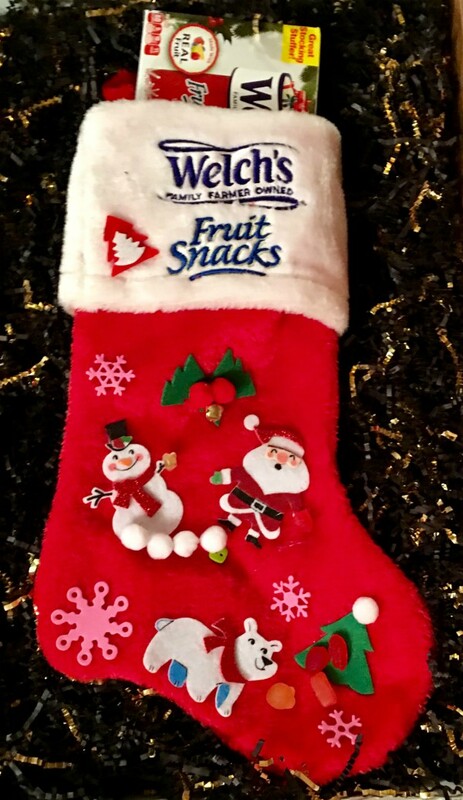 I recently received a fun package from Welch's to help my family and I craft a custom stocking as part of the Welch's Fruit Snacks Christmas Challenge. The package included things like Christmas cut-outs, snowflakes, bells, pom-poms and more. 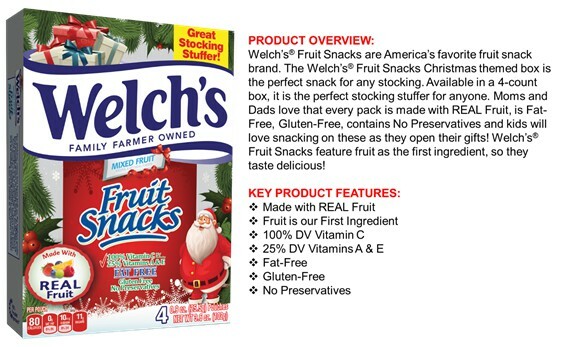 Oh and of course some tasty Welch's Fruit Snacks of course. I decided since my daughter got so excited when I opened the box that I would let her do all the crafty work. She decided she wanted to create an outdoor winter wonderland. Complete with snowman, Santa, and a bear all enjoying Welch's Fruit Snacks from the fruit snacks tree. I thought it was pretty creative how she attached little bits of fruit snacks to the hands of the snowman and Santa. That girl is pretty crafty! I of course had to contribute at least a little bit so I could say I helped. So I slipped in the special Christmas themed box as a stocking stuffer. And there you have it a Welch's stocking inside and out!